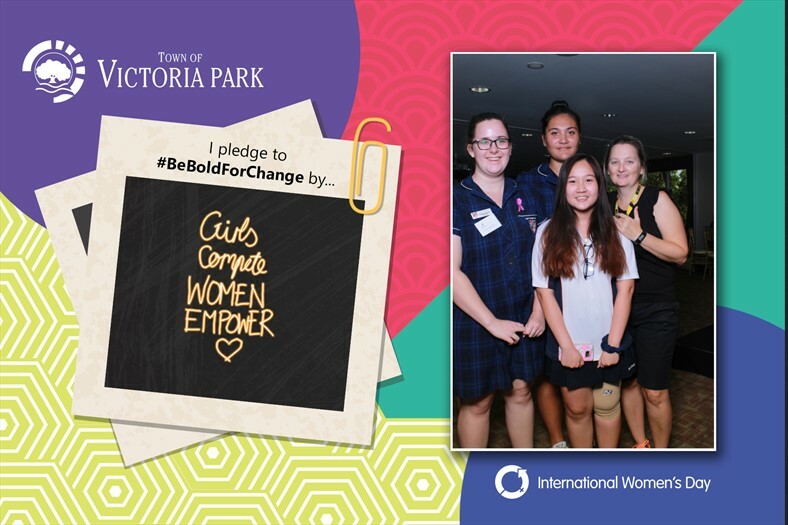 When the Town of Victoria Park invited Vivid Media to be a part of its International Women’s Day celebrations on March 8, we were impressed by the number of inspiring women we met. We invited each of them to bring their messages and goals to the Mirror Me Photo Booth, to really put it out there what the day meant to them. ‘Gender equality’, ‘celebrating phenomenal women’ and ‘empowering others’ were some of the themes they scripted on the touch screen mirror with a sense of passion and hope. It was a remarkable day with an amazing group of women and we were delighted to be a part of it. We had fantastic feedback on the Mirror Me Photo Booth too with attendees saying they loved the freedom it offered – from being able to add personal messages and pose in front of a full length mirror to joining in groups for happy snaps. The Town of Victoria Park told us they loved that they could incorporate their logo and their message into the attendees’ mementos. The team at Vivid Media is looking forward to being at more Perth Council events from community fairs to engaging with corporate groups. We have an ‘up for anything vibe’ and a product that continues to wow Perth. Our growing client base tells us the Mirror Me Photobooth is unlike anything they’ve seen at other events. Guests stand in front of a full length mirror and follow prompts that encourage high energy portraits. To get a full sense of its capabilities, click here. Packages start from $690 and Vivid Media continues to offer Perth’s cheapest photobooth hire. The deal includes adding custom images and a USB of all the pictures. You’ll also have the help of our sociable team who will deliver the Mirror Me Photobooth and guide your guests through the experience. Click here for more.